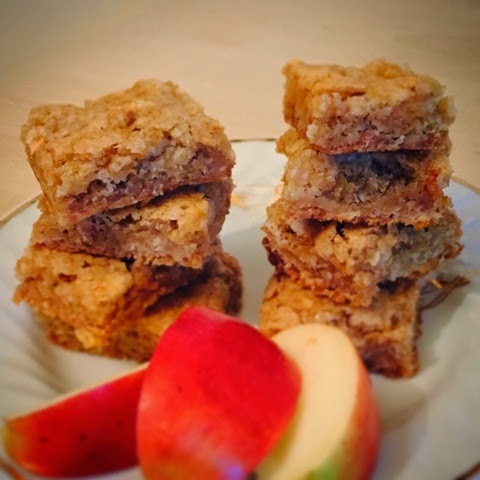 Apple Cinnamon Squares- A family favourite! Not the healthiest dessert, not to mention they are soooo addictive, they’re always gone by the end of the day when I make enough for the week! So if you’re watching calories, these are not the best idea as they taste so damn good! But if it’s your cheat day, treat day then I’d definitely give this recipe a try! 3. Sift together the baking powder, cinammon, salt and flour, then set aside. 4. Melt the margerine, then mix the brown sugar, white sugar, egg and vanilla until smooth. 5. Blend in the flour mixture, until it is combined, then stir in the apples and Cinammon. 6. Bake for 30 mins, then cut only when cooled. ← Thai Șnițel (Shnitzel) Salad – Food Art with Team Moldovan!